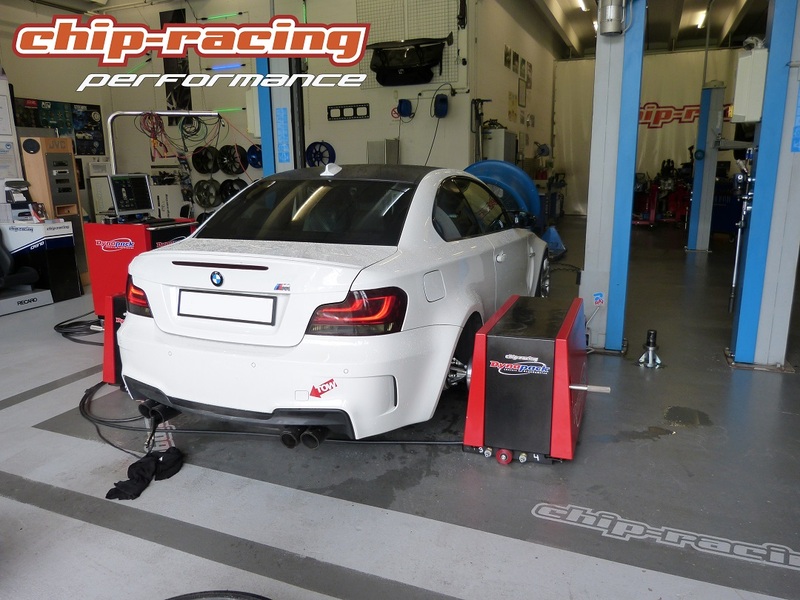 In our todays dynotest we have a BMW 1 Series M Coupe CRTEK2. The new age BMW engines N54 and N55 have a tremendous potential which we would like to show you with our N54 tuning, in this case on a BMW 1er M Coupe. That all new age, turbocharged BMW’s have more power than stated from BMW is no secret, this M Coupe isn’t an exception! 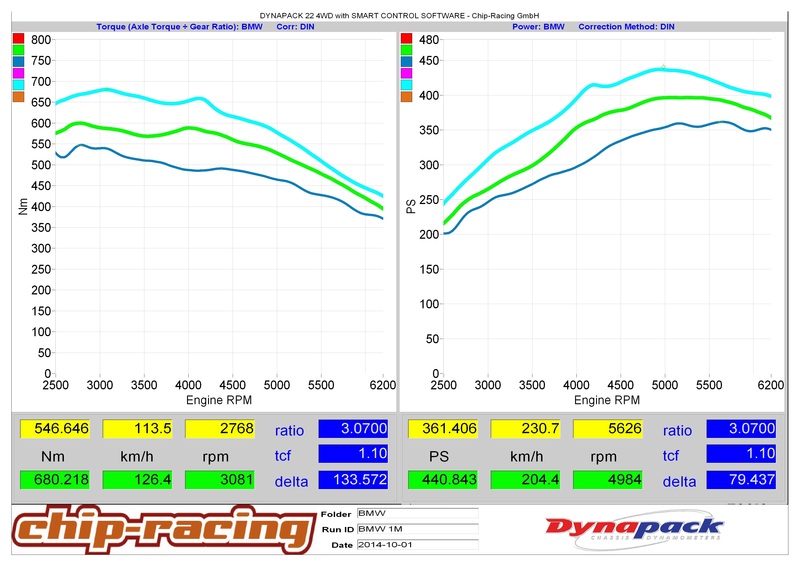 The factory output of 340hp was easily exceeded by more than 20hp! 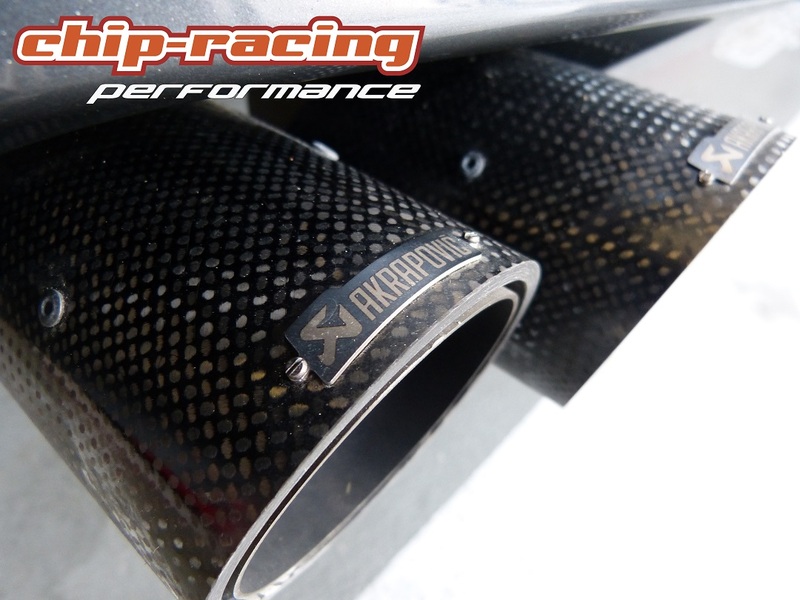 Most cars suffer from inharmonic torque and power bands, caused by the loss of backpressure in the exhaust, when installing parts like we did on the M coupe. But not on BMW’s, the intelligent ECU is able to recalibrate itself, resulting in a super smooth power band! With just a few little bolt-on parts the N54 shows what’s up! 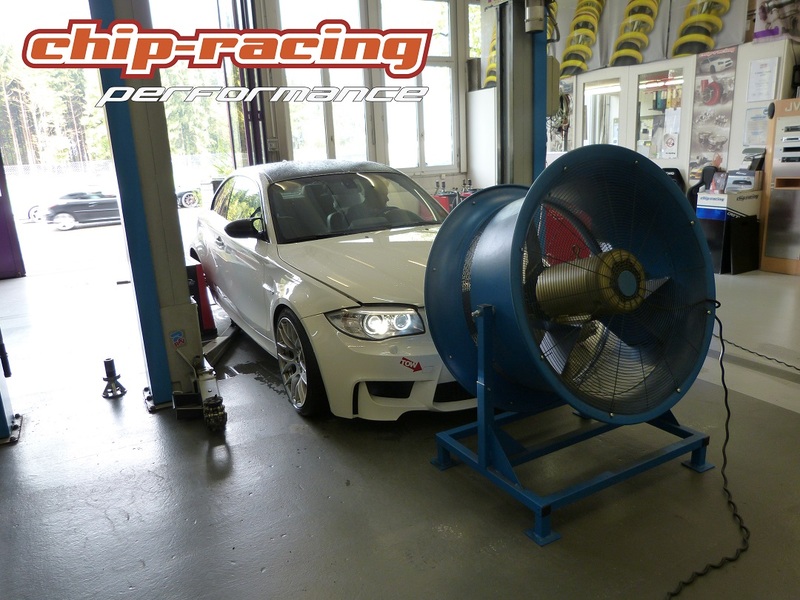 With our N54 Tuning we easily set over 80hp free and transform the BMW into a little monster! We will have similar tests going on soon with the newer N55 engine!